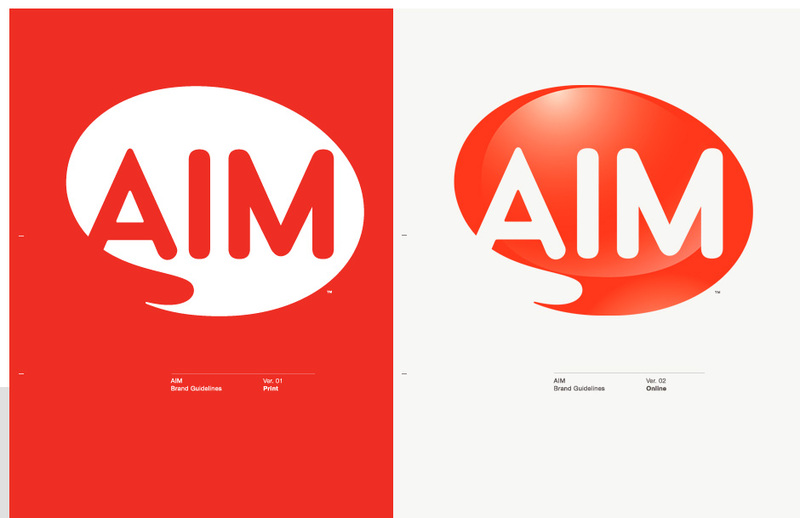 Both online and print AIM brand guidelines are intended to provide a framework for preserving the AIM identity and ensuring the integrity of the AIM brand. 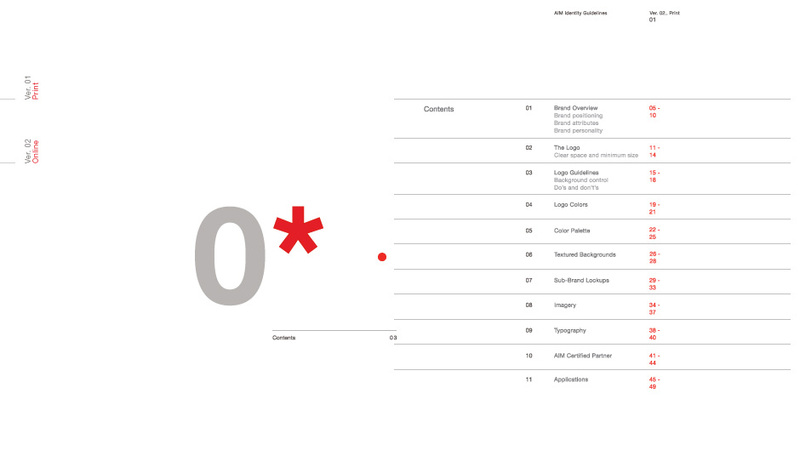 They illustrate how to apply the visual and verbal components of AIM brand, directions on how to use AIM signatures; colors and typefaces, and help the user develop intriguing, informative and relevant communications. Graphic patterns: A set of graphic patterns were created to serve as a backdrop for the new AIM identity.